Once again, the PCC Foundation is raising money to support the college’s Panther Pantries for Giving Tuesday (Nov. 27). With a goal of $10,000, organizers are asking that people participate in this event by donating to “Save a Seat: So Hunger Doesn’t Hold Our Students Back” drive. “Save a Seat” refers to this year’s Faculty, Staff and Retiree Campaign. When a gift is made, the donation helps “save a seat” for students in the classroom, in the cafeteria and on the bus. 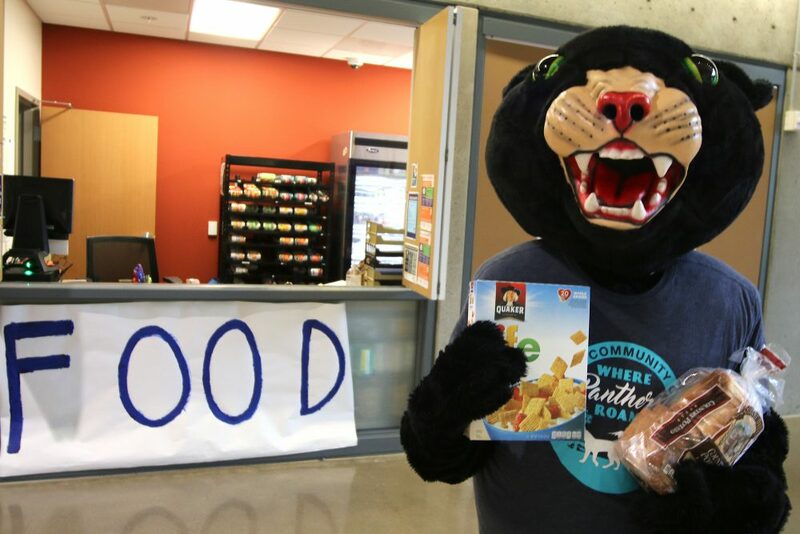 It’s needed because nearly 67% of PCC student face food insecurity and the Panther Pantries help serve these students by providing healthy, fresh and non-perishable food items and hygiene supplies. Read more about the pantries work here.